When homeowners in the Tampa Bay area want to upgrade their roofs, they turn to the residential roofing contractors at Veterans National Property Services. As a full-service residential roofing construction company, we are wholly prepared to supply homeowners with the best possible roofing services available. We are the reliable partners you can trust to provide your home with an exceptional roof you will never have to worry about again. VNPS is a Service-Disabled, Veteran-Owned Small Business (SDVOSB) that is dedicated to supplying customers with a professional roof replacement service and premium roofing products. To ensure you are completely satisfied with your new roof, our dependable team will actively communicate with you and quickly respond to your needs throughout the entire project. By keeping you well informed, setting realistic goals, and surpassing expectations, we have established ourselves as one of the top roof replacement contractors in the community. Premium durability – These shingles use a strong adhesive installation technique that helps protect your roof from extreme weather conditions. Waterproofing sealants – Owens Corning’s water barriers and underlayment products add an extra line of defense to ensure your home is properly sealed against water and wind. Superior ventilation – Optimizing the airflow of your attic is just as important as selecting premium shingles. Providing both intake and exhaust ventilation, Owens Corning shingles help manage temperature and moisture. Best of all, Owens Corning Shingles come in a plethora of color blends that will suit your desired aesthetic and enhance the curb appeal of your home. 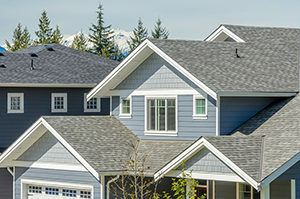 To learn more about the expert residential roofing contractors at Veterans National Property Services, contact us today. We have provided homeowners in the Tampa Bay area with quality roof replacement services since 2014.